AIM Electric would like to extend our most heartfelt condolences to all those affected by the Humboldt Broncos tragedy. Our thoughts are with those who lost their lives, their families, the survivors, and all first responders and medical staff. We grieve with the rest of the province and nation. 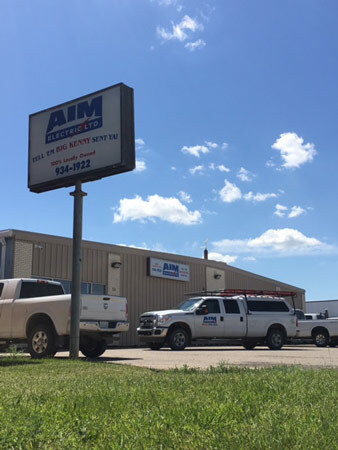 Here at Aim Electric, we are ready and able to tackle any job, BIG or small. We specialize in everything from residential wiring, to commercial and industrial projects. We can handle it all. We are 100% locally owned, and we have more than 35 successful years in the electrical industry. 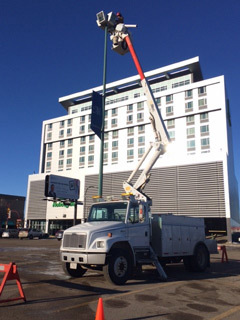 From our office and warehouse in Saskatoon, we provide electrical contracting, as well as service and maintenance to numerous clients throughout Saskatchewan. Come visit our retail electrical store PACKED with a wide range of products, with staff that are happy to help you with all of your electrical needs, - and don't forget to tell ‘em Big Kenny sent ya!